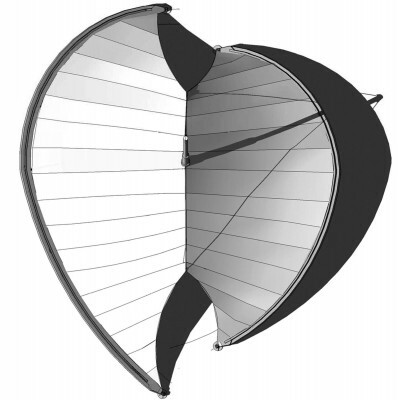 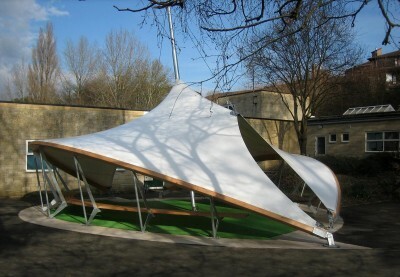 This covered outdoor classroom for 30 young school children was created using a tensile fabric structure. 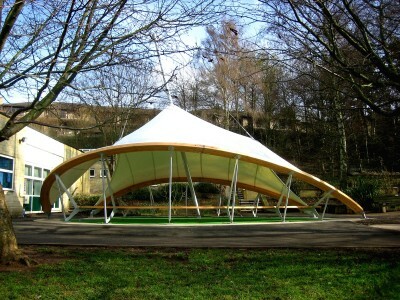 The 80m² teaching facility uses laminated timber arches to create a soft embracing form that keeps the eaves line of the roof low, providing maximum protection from rainfall. 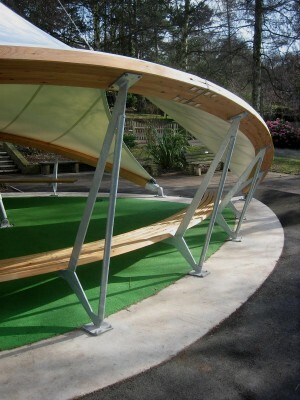 Bench seats cantilever from galvanized steel struts tied in to the underside of the structure’s timber arches. 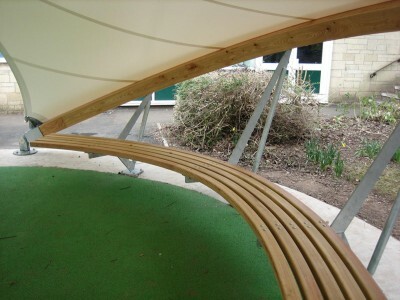 Integrating the furniture in this way creates a ready-made teaching environment which is always ready for use. 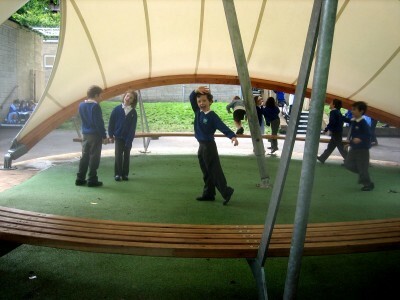 A leaf-green coloured rubberized tarmac floor completes the child-friendly environment. 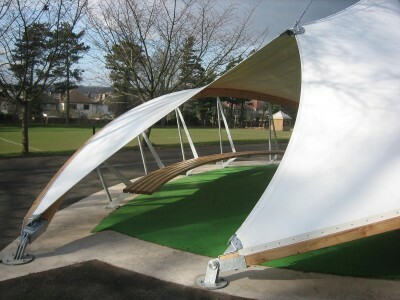 The use of a translucent fabric canopy provides a glowing, naturally-lit space with the intention of creating an inspiring place of learning.